A while ago I met someone. Friends and colleagues said such things as "She's a keeper alright" and "You had better sign that contract quickly!" I pretty soon decided that engagement rings were necessary. 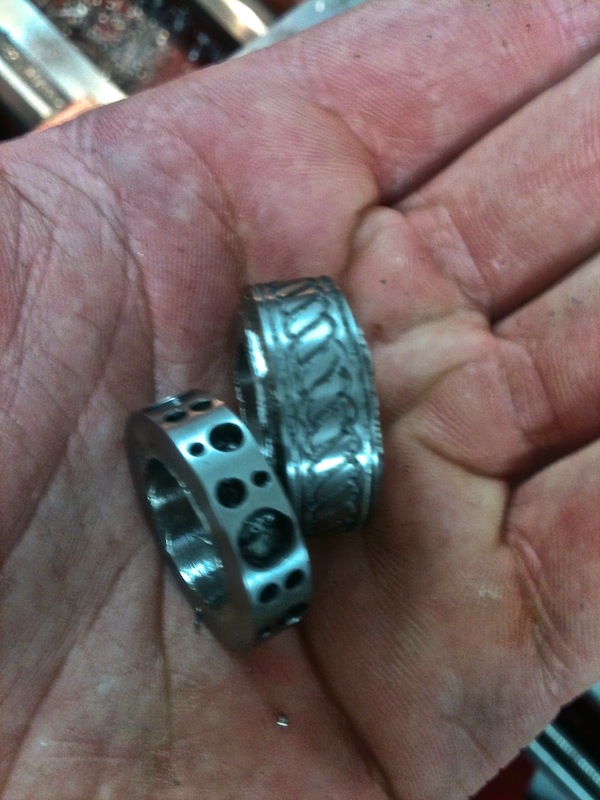 Before leaving New Zealand for Sweden, I set about making two engagement rings for her and myself. A friend of mine had a piece of square titanium bar stock, after a bit of discussion we decided to have a go at making a ring or two and have a play with the idea of selectively anodising parts of the rings such as engraving. 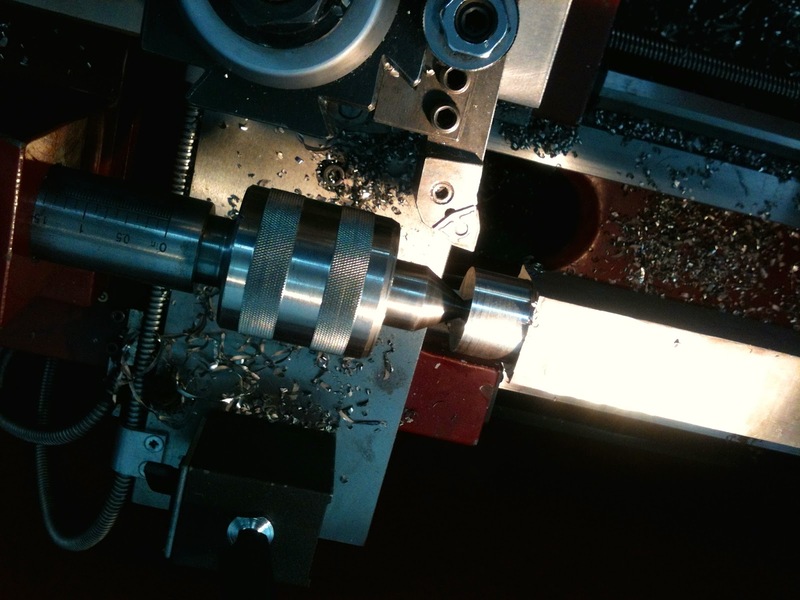 We first rough machined the titanium bar to size in the lathe and then set it up in the CNC milling machine. We used the 4th Axis with an improvised tailstock setup. Checking clearances in the CNC machine. in some rather big swarf. 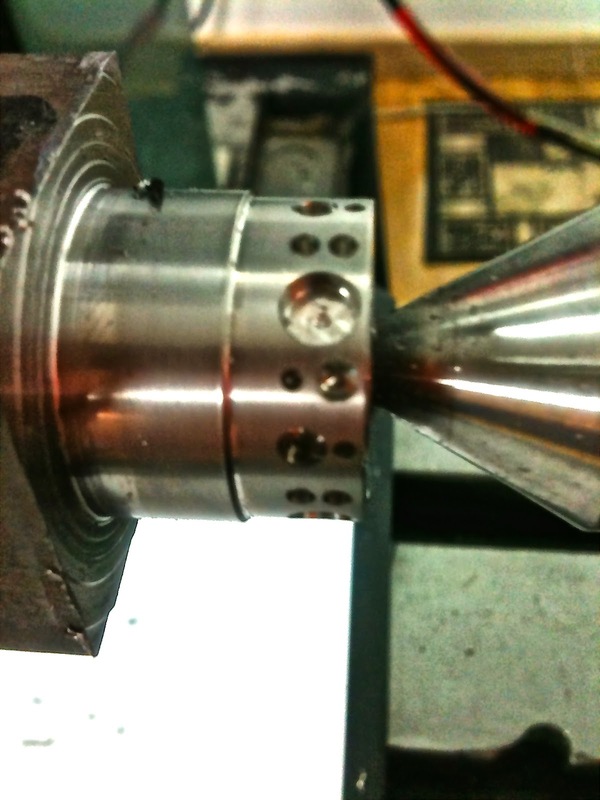 The hole pattern after machining. 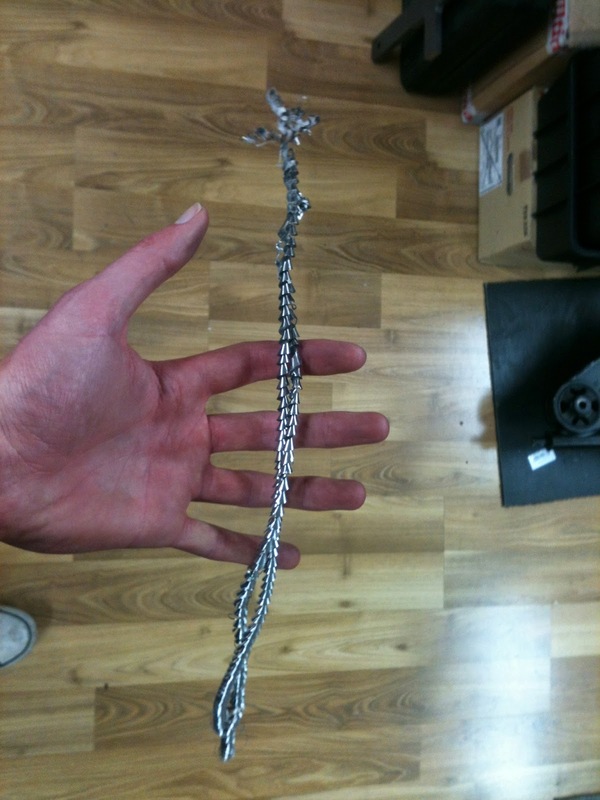 We then set about doing some anodising. I built a lashed up power supply with a variac, four diodes as a rectifier, and a smoothing capacitor. Using sodium carbonate the, results looked quite promising. Electricity and electrolytes: Perfectly safe. Just before leaving New Zealand I machined Felicia's ring to size, we got it engraved by a jeweller here in Sweden before we anodised both rings together. swarf, ready to be anodised. I'm pretty happy with the way they came out, the anodising really sparkles in the sunlight. What happened to the one with the rope engraved on it? And where did the tiny one come from? Rope engraved one was part of the testing and belongs to my friend. The tiny one was made separately, it's the one I machine in the lathe in that video.